While the public cloud continues to grow at the expense of on-premises data centers, not everything that moves to the cloud stays there. Some data comes back, for a variety of reasons. And while apps are moving to the cloud at a rapid clip, data is not. That’s the findings of a recent report by 451 Research commissioned by Schneider Electric, entitled “Customer Insight: Future-Proofing Your Colocation Business.” It finds, for example, that global operational square footage hosting cloud infrastructure will grow at a 16 percent compound annual growth rate (CAGR) from 2017 to 2020, while the amount of on-premises enterprise data center capacity will drop four percentage points, from 77 to 73 percent in the same time period. Also on Network World: After virtualization and cloud, what’s left on premises? That’s not a major drop if you think about it, which would hint that rumors of the on-premises data center’s demise are greatly exaggerated. It would mean a lot of workloads are remaining on-premises while others move to the cloud, and in some cases, workloads move back on premises. For example, in the survey of 454 colocation customers, 62 percent said they moved applications from colocation to the public cloud in the past two years, but over the same period, 41 percent moved applications from the public cloud back to colocation facilities. The reasons for the return? Forty-seven percent said latency or performance issues, 45 percent said colocation was less expensive, 39 percent said they wanted more predictable costs, 37 percent said security concerns, 34 percent said a change from app dev/test to production, and 13 percent said regulatory compliance. So, there is no one reason, and the reasons given shows people are still refining their cloud strategy over time as they work things out. “These repatriation trends, and the reasons behind them, underscore the relative immaturity of the shift underway to hybrid IT and datacenter environments,” the report said. “At 451 Research, we talk about the ‘best execution venue’ (BEV) – which is specific to the individual organization, use case and business need – rather than a simple ‘best’ option for data center capacity. “The challenge for colocation providers is to understand the ‘mega trends’ driving BEV decisions and to effectively meet customers’ key colocation needs – cost-effectively and over the long term,” the report added. 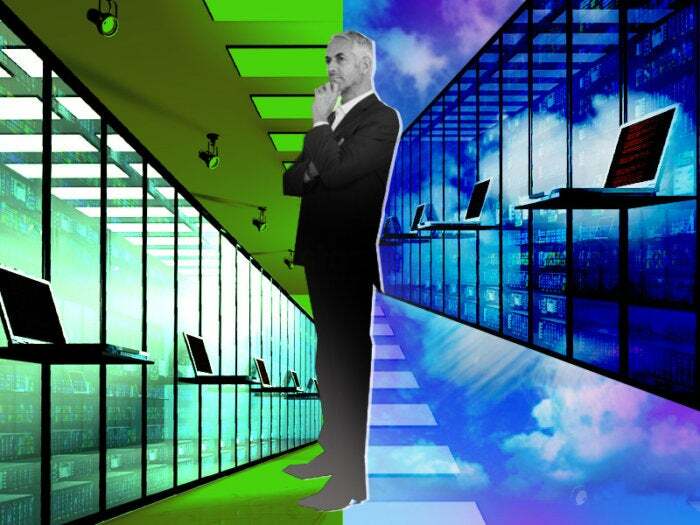 For those who moved to the cloud, 63 percent said the public cloud was cheaper, 59 percent said it increased functionality of cloud-based software, 39 percent said capacity requirements are unpredictable, and 32 percent said it enhanced backup options. While more than half of those surveyed said cloud was cheaper than colocation, cost is also a big reason many colocation customers migrate applications from cloud back to colocation facilities. Of those that switched back, 45 percent believed colocation providers are less expensive, and 39 percent said costs are more predictable than in the public cloud. I’ve reported on this in the past. Companies move to the cloud, sometimes wholesale, end up doing a U-turn and moving back on premises. The move to the cloud is not a fire-and-forget deal. You must constantly monitor things for cost and efficiency. The fact that the single biggest issue is latency should tell you something. Latency impacts performance, and no one wants to slow their business down. It’s why a move to the cloud needs to be slow, gradual and constantly evaluated.